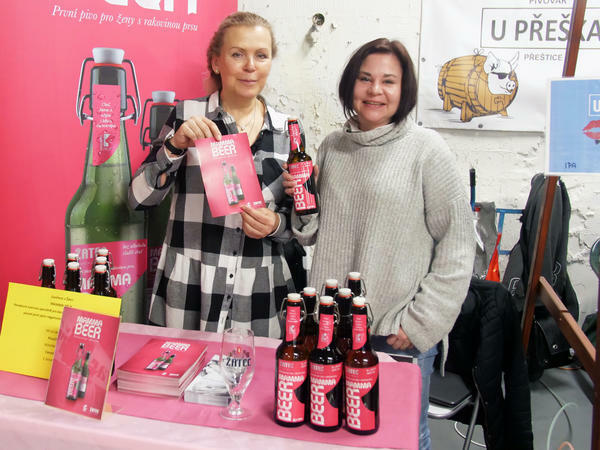 Jana Krocakova and Petra Plankova of Mamma HELP show off their new brew aimed at helping breast cancer patients undergoing chemo to "feel normal" and overcome their impaired sense of taste. Robert Greene of the HungerNDThirst Foundation shows cancer caregivers his photographs of plates with metal parts to help them understand the flavors chemo patients may be tasting. The nonalcoholic Mamma Beer (mamma is the Latin word for "breast") is meant to counteract dysgeusia, a palate-altering phenomenon that is often a side effect of chemotherapy that makes food and drink taste bitter or bland. It is targeted for women undergoing chemotherapy for breast cancer and is one of several new products coming on the market specifically to address the changes in the way food tastes to cancer patients. "Chemotherapy in breast cancer patients often causes a loss in taste or a change of taste that leads to a lower intake of nutrients than patients need during their treatment," says Dr. Karolina Hovorkova, an oncologist who has been distributing samples of Mamma Beer to her patients at Onkocentrum clinic in Prague since April. Research from the Netherlands' Wageningen University confirms that taste disturbance in cancer patients can not only interfere with their overall nutritional status but may also affect treatment and recovery. So in a country with an annual beer consumption of over 36 gallons per capita, where a draft beer can cost less than a bottle of water in restaurants, it should come as no surprise that some doctors here see a drop of truth in the Czech proverb Pivo je lék: Beer is medicine. Hovorkova is one of them. She believes beer can boost vitamin intake, aid digestion and stimulate the appetite and suggests a small amount to patients before and after treatment. Science has yet to prove the actual health benefits of opening a cold one during chemo, but current research does support the idea that drinking beer in moderation can be good for your health. The brew has been shown to get the gastric juices flowing, which can mean better digestion. Findings from the Francis Crick Institute in London show that alcohol triggers hunger-inducing neurons in mice. But for Jana Drexlerova, enjoying beer, let alone many of her favorite foods, was out of the question when she underwent chemotherapy for breast cancer in 2011. "After chemotherapy, everything tasted like sand," says Drexlerova, who also suffered painful mouth lesions that prevented her from eating. "When I finally got my appetite back, all I could eat was cold tomato soup, and even that was flavorless." Drexlerova is now the CEO of nonprofit breast cancer advocacy group Mamma HELP, a counseling and support center. She is also the creative force behind Mamma Beer. Back in 1999, she and her team created a pink lager for a fundraiser. 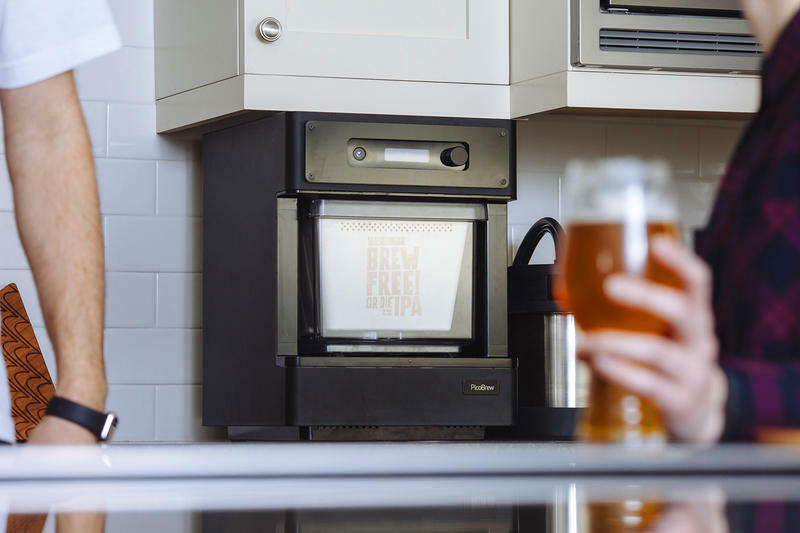 Then in early 2018, they revisited the idea, this time creating an alcohol-free beer fortified with potassium and vitamin B. "I wanted the beer to boost nutrition and improve health during treatment," says Drexlerova. "It was also important for me to give these women back a sense of normalcy in their lives." Zatec, a brewery in the hops-rich region of Usti nad Labem, 40 miles north of Prague, is known for its organic and gluten-free beers. It produced an initial run of 400 fuchsia-labeled bottles of Mamma Beer. Brewers drew on Drexlerova's personal experience with dysgeusia to create the beer's flavor, adding apple juice to counter the metallic bitterness that is a common complaint among chemo patients. The beer's distinct flavor — sweet and fruity, with a tangy finish that's halfway between a cider and a beer — has proved successful with Mamma HELP's clients. One of them, Dr. Jarmila Vavrinova, an epidemiologist now on her fifth cycle of chemotherapy, says that she drank Mamma Beer when she had difficulty swallowing. "I would also recommend it to help with the nausea," she says, "It worked really quickly for me." Vavrinova says she wishes more products existed for cancer patients facing appetite loss and illness during chemotherapy. Mamma Beer debuted this past March at the Prague Beer Festival and has been distributed at oncology wards and pharmacies. "The response has been overwhelming," says Drexlerova. "We've had an outpouring of calls and messages via social media." The organization hopes to eventually put its product on Czech supermarket shelves. Helping cancer patients maintain quality of life through culinary pleasure is a mission that Mamma HELP shares with the Amsterdam-based HungerNDThirst Foundation, an organization focused on the management of dysgeusia through education, research, tastings and product development. Founder Robert Greene, a former oncology nurse, was diagnosed with colon cancer in 2012. Unable to indulge his cravings for comfort foods like cheesecake and ice cream during treatment, he says he lived on calorie-rich nutrition drinks and little else. "I remember those protein shakes tasting really terrible," says Greene. For Greene, finding a way to mirror the sensation of "eating iron and metal" was the key to helping caregivers who have not experienced "chemo mouth" to understand what it feels like. 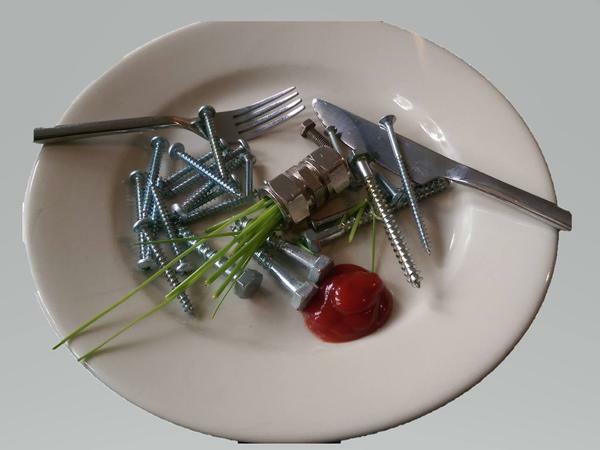 "I started photographing screws and bolts on a plate next to a side of vegetables," he says. But people still didn't get it. In 2017, Greene enlisted chef Christian Boomker to create a simple butter cookie incorporating a botanical extract that mimicked the metallic aftertaste of food during chemo. He shared samples with hospitals and caregivers. Greene has been flooded with orders for his Awareness Through Experience biscuits. The cookies have since been used at symposiums for cancer dietitians and by multinational food corporation Danone, whose Nutricia research division announced a partnership with the HungerNDThirst Foundation in February 2018. Danone isn't the only company to see big potential in the food-and-beverage market targeting chemo patients. Food industry publication Food Dive reports that both Hormel Foods and Nestlé have launched product lines designed for this niche category, a sector reportedly worth $15 billion, according to The Wall Street Journal. While beverages tend to make up the majority of convenience foods geared toward cancer patients, Hormel Health Labs' Vital Cuisine line features palate-pleasers such as vegetarian stew and chicken and dumplings made with sensitive taste buds in mind. Chef Ron DeSantis, who helped develop Hormel's recipes, drew on his experience cooking for his wife, a breast cancer survivor. "Bland things like rice and pasta worked well enough," he says, "but I also discovered that butternut squash and legumes, white beans and chickpeas, paired with warming spices for an earthy flavor, were successful." As he worked with Hormel food scientists to develop similar recipes for Vital Cuisine, DeSantis remained mindful of his wife's taste and texture preferences at the time of her treatment. For example, he says algae protein gave the ready-to-serve meals a mouth feel that recalls a classic French roux while adding nutrients. The company will continue to expand its Vital Cuisine offerings, currently available online and in select retail stores in the U.S. Upcoming additions include a high-calorie, high-protein shake, a clear protein beverage, and even cookies. 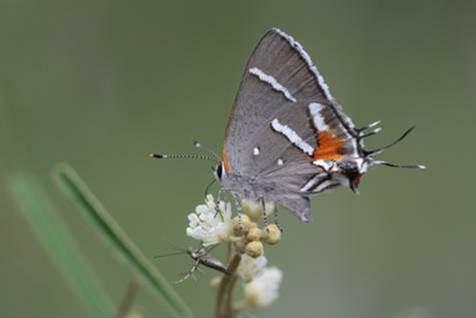 Such developments give Greene hope. "Having a company listen to patients' experience will hopefully stimulate the creation of improved products," he says. "Until there is a real solution to the problem, if something can give you some sort of joy within that terrible period, that's a positive thing."